Background: Helicobacter pylori affects almost half of the world's population and therefore is one of the most frequent and persistent bacterial infections worldwide. H. pylori is associated with chronic gastritis, ulcer disease (gastric and duodenal), mucosa-associated lymphoid tissue lymphoma, and gastric cancer. Several diagnostic methods exist to detect infection and the option of one method or another depends on various genes, such as availability, advantages and disadvantages of each method, monetary value, and the age of patients. Materials and Methods: Patients with complaints of abdominal pain, discomfort, acidity, and loss of appetite were chosen for endoscopy, detailed history was contained, and a physical examination was conducted before endoscopy. Biopsies (antrum + body) were received from each patient and subjected to rapid urease test (RUT), histopathological examination (HPE), polymerase chain reaction (PCR), and culture. Results: Of the total 223 biopsy specimens obtained from dyspeptic patients, 122 (54.7%) were positive for H. pylori for HPE, 109 (48.9%) by RUT, 65 (29.1%) by culture, and 117 (52.5%) by PCR. The specificity and sensitivity were as follows: RUT (99% and 88.5%), phosphoglucosamine mutase PCR assay (100% and 95.9%), and culture (100% and 53.3%), respectively. Conclusion: In this study, we compared the various diagnostic methods used to identify H. pylori infection indicating that, in comparison with histology as gold standard for detection of H. pylori infection, culture and PCR showed 100% specificity whereas RUT and PCR showed 99% and 100% sensitivity, respectively. Objective: The present study aimed to evaluate the current trends of drug resistance patterns of Acinetobacter baumannii infection in blood transfusion-dependent thalassemia patients. Study Design: This study was a cross sectional study, conducted at the Liaquat University of Medical and Health Sciences, Jamshoro/Hyderabad, Sindh, Pakistan from October 2014 to January 2016. Subjects and Methods: Of 921 blood samples, A. baumannii strains were isolated from 100 blood samples. Blood samples were processed for the isolation, identification, and drugs sensitivity as per the Clinical and Laboratory Standards Institute. A. baumannii strains were identified by microbiological methods and Gram's staining. API 20 E kit (Biomeriuex, USA) was also used for identification. Data were analyzed on Statisti × 8.1 (USA). Results: Mean ± standard deviation age was 11.5 ± 2.8 years. Nearly 70% were male and 30% were female (P = 0.0001). Of 921 blood transfusion-dependent thalassemia patients, 100 (10.8%) patients showed growth of A. baumannii. Drug resistance was observed against the ceftazidime, cefixime, cefepime, imipenem, meropenem, amikacin, minocycline, tigecycline, and tazocin except for the colistin. Conclusion: The present study reports drug-resistant A. baumannii in blood transfusion-dependent thalassemia patients. National multicenter studies are recommended to estimate the size of the problem. Context: India is one of the high tuberculosis (TB) burden countries in the world. Improper implementation in the guidelines for the management of TB and high rate of defaults on the part of the patients are most important risk factors for the development of multi-drug resistant TB. Aims: This study examines the drug resistance profile and the effect of demographic, clinical and behavioral risk factors on the prevalence of TB and multidrug resistance (MDR) in north India. Settings and Design: This was a prospective, observational study carried out from May 2012 to February 2014 in tertiary care hospital of Varanasi. Subjects and Methods: The study was performed on 721 pulmonary and extrapulmonary specimens of suspected TB patients based on history, was subjected for the Ziehl–Neelsen staining and culture on Lowenstein–Jensen (LJ) media. Statistical Analysis: The features of groups were compared by Chi-square (χ2) and odds ratio. Results: Out of 721 clinically suspected pulmonary and extrapulmonary TB patients, 222 (30.8%) patients were smear positive for acid-fast bacilli and 244 (38.3%) were positive for Mycobacterium species cultured on LJ medium. The prevalence of resistance to at least one anti-TB drug was 71.1% and MDR was 53.5%. 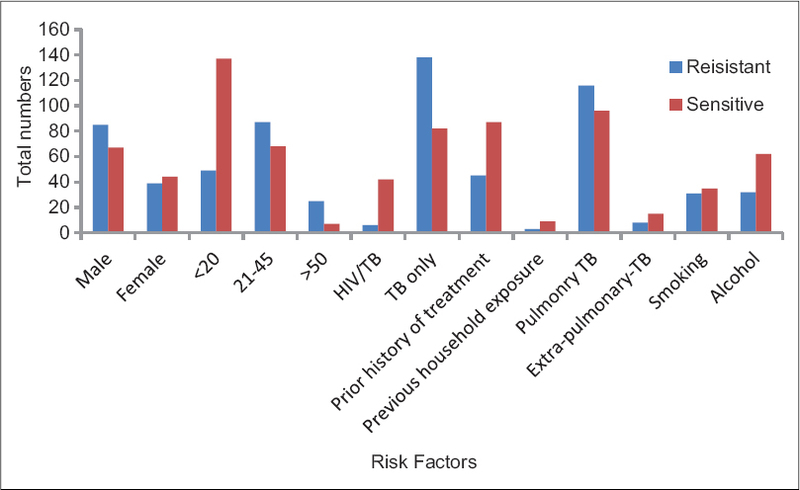 Age, gender, HIV status, nature of TB, smoking, and alcohol consumption risk factors were significantly associated with TB prevalence; while prior history of TB infection, pervious household exposure, smoking, and alcohol consumption were significantly associated with MDR. Conclusion: This study showed a high prevalence of drug resistance TB in this region. It also provides evidence in our circumstance, of the role of prior history of TB infection, alcohol and smoking in increasing the risk of developing TB and MDR-TB. Therefore, it is necessary for the public health community to incorporate and strengthen alcohol and smoking nonparticipation interference in TB control program. Objective: To investigate the epidemiological trends of cutaneous leishmaniasis (CL) in Al-Madinah Al-Munawarah, western region of KSA. Materials and Methods: Four hundred and sixty-seven parasitologically confirmed CL cases attending Al-Meeqat Hospital, Al-Madinah, during 2012–2015, were included in this study. Results: Both Saudi and non-Saudi nationals were infected, with the highest infection rate being among Saudis (68.7%). Males were more affected than females as 86.9% of the total CL cases were males. Moreover, CL was prevalent in all age groups with higher frequency among young adults and adolescents (23.1% and 22.7%, respectively). Interestingly, almost all the patients in the adolescent and child age groups were Saudis (96.2% and 93.5%, respectively). Considering geographical distribution, the highest percentage of the cases (40.5%) were from the northern parts of Al-Madinah province while the eastern parts reported the least infection rate (7.3%). Few cases (2.5%) were supposed to encounter the infection abroad. 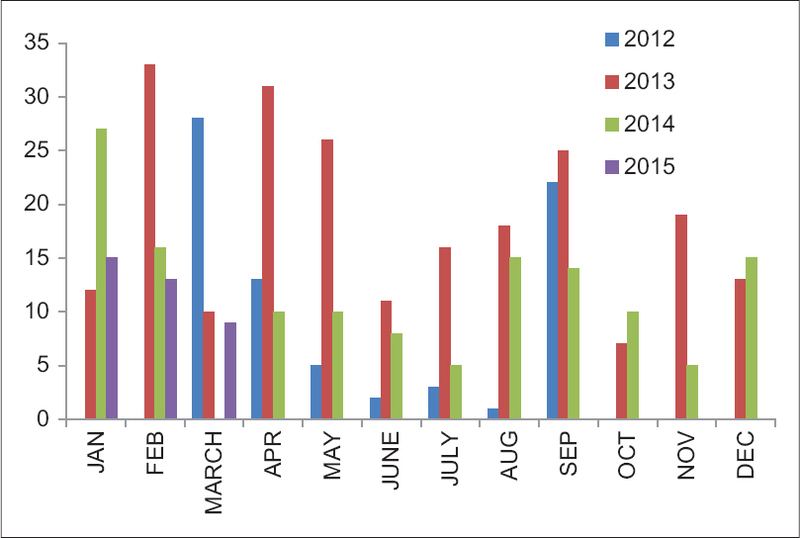 Additionally, the frequency of infection was found to follow a seasonal distribution. Regarding treatment, pentostam, ketoconazole, or cryotherapy were the treatment options usually used. Conclusion: CL is prevalent in Al-Madinah Al-Munawarah area and new foci are being introduced. Thus, detailed studies with large surveillances regarding vector and reservoir hosts in and around the area are needed. The media and public health generally focus on the biological and physical ramifications of epidemics. Mental health issues that coincide with emerging diseases and epidemics are rarely examined and sometimes, even eschewed due to cultural considerations. Psychiatric manifestations of various infectious diseases, especially with a focus on Ebola Virus disease (EVD) and Zika Virus, are discussed in this commentary to illustrate the continued need of care after the resolution of the actual illness. Various infectious diseases have associations with mental illness, such as an increased risk of obsessive-compulsive disorders and Tourette syndrome in children with Group B streptococcal infection. Current EVD literature does not demonstrate a strong association of mental illness symptoms or diseases but there is a necessity of care that extends beyond the illness. Patients and their families experience depression, anxiety, trauma, suicidal ideation, panic and other manifestations. Zika virus has been associated neuronal injury, genetic alteration that affects fetal development and detrimental maternal mental health symptoms are being documented. 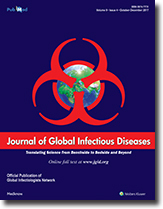 While funding calls from the international community are present, there are no specific epidemiological data or fiscal estimates solely for mental health during or after infectious diseases epidemics or disasters that support health care providers and strengthen policies and procedures for responding to such situations. Therefore, those on the frontlines of epidemics including emergency physicians, primary care providers and infectious disease specialists should serve communicate this need and advocate for sustained and increased funding for mental health programs to heighten public awareness regarding acute psychiatric events during infectious diseases outbreaks and offer treatment and support when necessary. We report a case of acute cryptococcal meningitis (CM) masquerading as normal pressure hydrocephalus (NPH) in an immune-competent female. An 85-year-old human immunodeficiency virus-negative female presented to the emergency room for altered mental status and difficulty walking. She was increasingly lethargic, with urinary incontinence and gait instability. 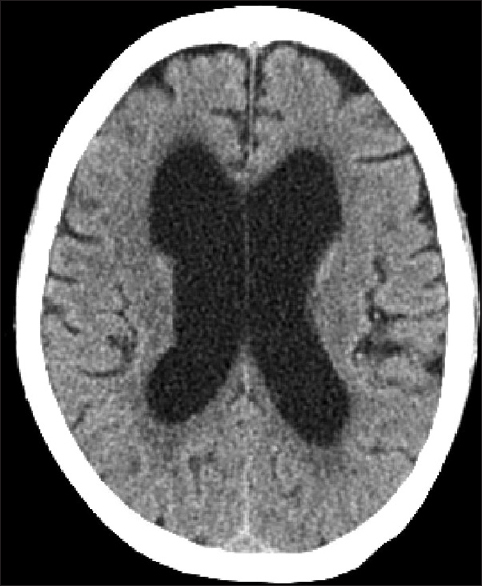 A previous computed tomography was reported to have ventricular dilatation out of proportion to the degree of cortical atrophy. Magnetic resonance scan of the brain revealed ventricular dilatation and subtle debris layering the occipital horns of the lateral ventricles. 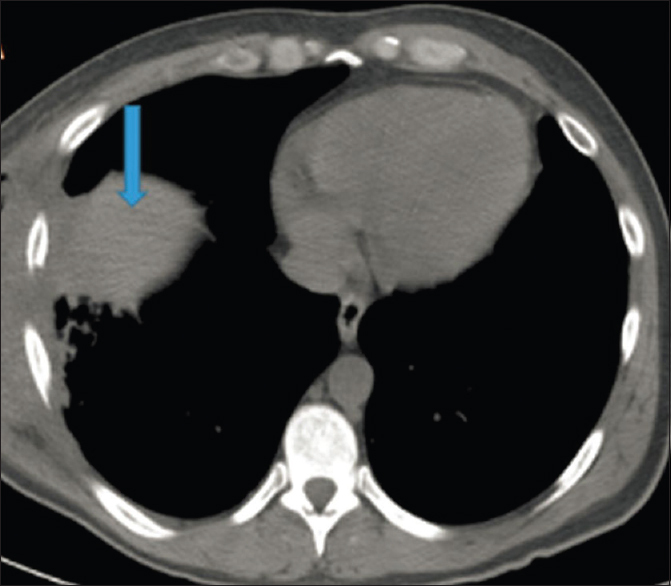 A working diagnosis of NPH had been made considering the clinical symptoms and imaging. She became febrile to 103°F. Lumbar puncture was then performed which showed increased protein, decreased glucose, and mononuclear pleocytosis. India ink preparation of the cerebrospinal fluid was positive for Cryptococcus along with a positive cryptococcal antigen test. The patient was started on treatment for CM, but the patient continued to deteriorate further and died on the same day. Blood cultures subsequently grew Cryptococcus neoformans as well. 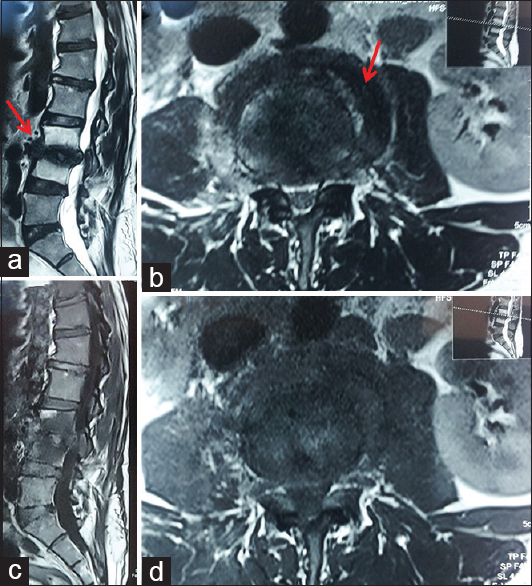 Spinal mucormycosis is a rare and fatal condition. High degree of suspicion is required for early diagnosis and treatment.